How To Get The OSCE Focused On The Russian Agenda? On July 3 the OSCE Parliamentary Assembly has demonstrated its rare decisiveness: it adopted the resolution "Reuniting the divided Europe: encouragement of the human rights and civil liberties in the OSCE region in the 21st century." There were convicted both totalitarian regimes of the past age – Nazi’s and Stalin's, member states were called to reveal their historical and political archives, to fight with xenophobia and aggressive nationalism. It was also offered to condemn totalitarianism clearly and unconditionally, and to consider the August 23rd – day of the signing the Molotov-Ribbentrop pact – as a day of memory of the Stalinism and Nazism victims. As one could expect, the document has caused extremely negative reaction at first of Russian representatives at the session, and then of the whole establishment. The head of delegation Alexander Kozlovski has expressed the indignation that Nazism and Stalinism were put on the same step: "We feel ourselves insulted". "Resolution of the OSCE parliamentary session is preconceived and inappropriate, as well as the whole activity of the organization, – added Konstantin Zatulin, Deputy Chairman of the State Duma Committee on CIS. 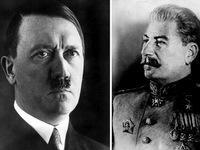 – Long ago it has turned into the instrument of violence over the past, present and future of Russia". Russian Ministry for Foreign Affairs declared that resolution equalizing Stalinism and Nazism had "distorted the history." Immediately after that the State Duma and Federation Council have adopted the joint statement, in which the document was recognized to be "inadmissible." It is understandable that this insult required some response. The first step is made already: foreign-policy department recommended Russian deputies to help their delegates to the Assembly by stirring up negotiations concerning “fight with history falsifications" at the inter-parliamentary and interparty levels. These consultations are to bring to a new resolution, which "will confirm the decisive contribution of the Soviet Union to the victory over Nazism." In order to achieve this goal Russia will certainly attract PA communist deputies from Greece, France, Cyprus, Czech Republic and San-Marino, who also were against the resolution considered. In addition other means can be used, up to subornation of some European parliamentarians. The Communist party faction in Duma is ready to go much further: it has called Russia to leave the OCSE. Negative estimation of this organization is shared by many other high-ranking persons. 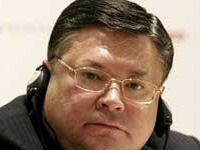 "OSCE is a remnant of the détente epoch, and its present activity looks meaningless," – has declared the head of the international committee of the Federation Council Mikhail Margelov. His colleague from Duma Konstantin Kosachev agreed: "We are not satisfied with the OSCE in its present form: in context of the European safety it turns out to be unclaimed, impotent". For a long time a standpoint is popular in Moscow that there is no sense in Russia’s participation in the European organizations activities. For instance, in the context of the possible deprivation of its constituent power in the Council of Europe Parliamentary Assembly it threatens to leave it, that will deprive Russian citizens of the possibility to apply to the European Human Rights Court. However for the time being the foreign ministry keeps the other position. For the beginning, in its opinion, it is necessary to spread the principle of the consensus, acting in OSCE, to parliamentary assembly as well. But probability of success in this case, as in the previous one, seems to be exceedingly small. However if Russians will not be able to reach their goals one cannot exclude certain démarches. They will hardly really touch the OSCE itself though some critical remarks will be necessarily expressed at the Standing Committee in Vienna. But mainly talking will take place about suspending Russia’s membership in the Parliamentary Assembly. Unfortunately it is impossible to deny that Russian critics of the PA are right to a considerable extent. Of course, not in their assessment of the contents of the resolution, but in defining efficiency of the organization activity as a whole. In essence, the assembly for a long time is not more a place, where at least more or less well significant decisions are taken. Thereby Russian membership or non-membership in the Assembly will be of no real importance for the world politics. Moreover, even if, despite the considerations expressed above, Kremlin after all decides to decrease to some extent the level of its contacts with the OSCE as a whole, at the end of the day it will not affect the general situation. The other deal is that on this ground Moscow hypothetically can start its demonstrative departure from political interaction with the West and return to the confrontation policy, similar to existed in the times of the "cold war." However much more successfully this intention could be realized during the period of ultrahigh prices on energy carriers, when Russian administration, maybe not too reasonably, felt itself fit for any accomplishments. Currently, under the condition of cruel economic crisis such behavior is extremely unlikely. On the OSCE part it seems that at the present stage, in spite of the problems arisen, given topic will not get any continuation. Of course should Russia in revenge will not make something that becomes a reason for a new round of confrontation. 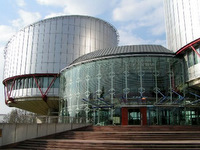 One cannot, however, exclude that if the Council of the Europe Parliamentary Assembly will adopt resolution convicting situation concerning YUKOS (it is to be considered at its September session), and thereupon the European Human Rights Court will intervene, that OSCE PA will also be engaged in this subject. But, again, a lot will depend on behavior of Russia. For the present it does not cause a great sympathy in the West. So in any event a tension will remain which for some period will have an impact at the situation in the OSCE. The more so because the next year president’s chair in the latter must be occupied by the Moscow’s close ally Kazakhstan and Russia certainly reckons on its support. Of course, this post is not defining in forming policy of the whole organization; however it still gives some opportunities at least for raising the questions. Astana has voiced its intention to collect a kind of "useful offers and advices" from all member states, in realization of which they are interested. It was promised to study and take them into consideration to the moment it will lead the organization. Surely amongst these offers there will be Russian initiative of holding the meeting of the leaders of OSCE, Organization of the Collective Security Treaty, NATO, European Union and CIS. Chairman of the Kazakhstan Senate Tokaev has already declared about support of this idea. In his opinion, countries of Europe and Asia are also to conduct a meeting of the world religious leaders. 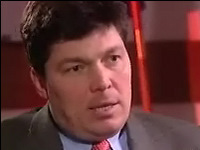 However the United States and the European Union countries will take into account the fact that Moscow exceedingly actively pushed Kazakhstan to the post of the OSCE Chairman, obviously expecting that their close political relations will help to reduce ‘anti-Russian accent’ in the OSCE activities in such spheres as observing human rights, monitoring elections etc. Therefore they will do all the best in order ‘pro-Russian’ Kazakhstan not to destabilize work of the organization. Especially as because it promised Washington and Brussels "not to make sharp movement" at the post of the OSCE Chairman and heed the opinion of the ‘civilized majority,’ in particular, to withstand the attempts to introduce changes to the ODIHR mandate on elections observation. On this evidence the most complicated for Astana there will be situations, when it as a Chairman will be necessary to give utterance the OSCE critics to their CIS allies and partners having the only possibility to soften the wordings and offset accents. One of the key questions of its coming chairmanship Kazakhstan considers discussing the future architecture of the European safety. At the recent informal meeting of the leaders of foreign offices of the OSCE member states that took place at the island of Corfu, Kazakhstan’s Minister for Foreign Affairs Marat Tazhin carried in a concrete proposal on holding in 2010 an all-embracing OSCE conference on tolerance. Since this idea was not objected by other delegations, one can consider this item of the future program to be approved already. In addition Kazakhstan is intended to intensify supervising on arms, spreading hazardous materials and weapons of the mass destruction. In the President Nursultan Nazarbaev opinion, the mankind as a whole needs new approach to ensuring global safety, providing peoples’ consolidation in struggle against terrorism and creation a universal agreement on nonproliferation of the nucleus weapons. The Kazakhstan’s authorities hope that together with its chairmanship the OSCE will gain new, ‘Eurasian face.’ In the result will become possible a new approach to solving a number of old international conflicts such as Kosovo or Cyprus questions. It is asserted even that Kazakhstan is capable to take upon itself a complex and important role of a mediator between Moslem and European communities. Aforementioned Marat Tazhin brought in his European colleagues an offer to create with the OSCE participation a ‘belt of safety’ over the perimeter of the Afghanistan borders, though it remains unclear how this idea can be realized concretely. Besides, Kazakhstan plans to make one of its priorities an environmental protection as well as development of the economy taking into account the existing ecological norms. Nevertheless as a whole the plans outlined look grandiose. In the opinion of some expert, the main purpose of these is to permit Nursultan Nazarbaev to become a candidate for the Nobel Peace Prize. Unfortunately there are too few grounds to expect the results will correspond with these intentions. And the reason is not only in the lack of the abilities of the next country-chairman. OSCE was created mainly for preventing dangerous international conflicts, which could develop into the nucleus war. Having played this role, it has lost its initial sense to a considerable degree. However Russia, desiring again to acquire an image of a great power, aspires to return the situation to the past, when the ‘first basket’ was dominated in the OSCE. But principle of adopting decisions by consensus introduced initially in the scheme of the organization allows it to block successfully all initiatives that do not correspond to its attitudes. In order to clarify the situation Mark Perren de Brishambo, the OSCE Secretary General, has visited Kazakhstan in the beginning of July. He has noted that country is preparing to its mission at high organizational and substantial level. This is not surprising. Taking into consideration frank longing of the Kazakhstan authorities to demonstrate itself at the international arena, as well as knowing traditional Eastern ability to carry out splendid actions, one must has no doubts that from the formal standpoint everything will be made at the high level.